As a Buffalo Grove Realtor, I receive calls and emails constantly as to whether homes are selling in Buffalo Grove, for what price are they selling and when the best time is to list your Buffalo Grove Real Estate. Allow me to answer a few of the questions in this post…. Are homes selling in the Buffalo Grove area? Yes- homes are selling in the Buffalo Grove area. 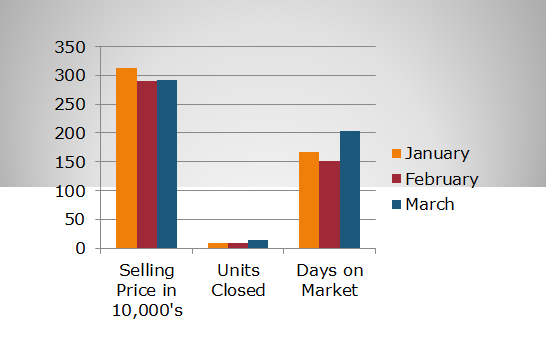 In January, February and March of 2011, 33 homes closed! Although the average Selling price decreased, the number of homes that sold in March were 15 compared to the 9 homes that closed in both January and February. Will I take a loss on the sale of my Buffalo Grove home? It all depends on when you bought the home. Unfortunately, the Buffalo Grove market declined for the past few years, so if you bought your Buffalo Grove home recently, you probably will end up taking a loss. Should I hire a Buffalo Grove Realtor, or my brother’s best friend when purchasing property or selling property in the Buffalo Grove area? Hiring a local Buffalo Grove Realtor, has great advantages. It is important to choose a Realtor who knows the area like the back of her hand. Your Buffalo Grove Realtor should be completely versed in the Buffalo Grove schools, Buffalo Grove subdivisions and the other homes that recently sold. When you are negotiating on behalf of your client, it is always better to be the one who is more knowledgeable about the area. If you are representing the seller and the buyer won’t budge on the price, you always have the advantage if you have seen the inside of the comparables and the reason that they sold for the price they did. A local realtor has the upper hand in the negotiations. If I decide to sell, when should I put my Buffalo Grove home on the market? As soon as possible. The spring market is in gear and Buffalo Grove homes are selling everyday!